Although much of your success remains in your hands, we can offer several bits of advice to help ensure that your ROI on shows is good. These are the tips that veteran exhibitors use to make certain their efforts contribute to their company’s bottom line.1. ACCOUNTABILITY FOR BOOTH STAFFERS: Everyone performs better when they have clear goals and can be measured against them. For instance, each staffer should understand how many leads they are expected to generate per hour on the show floor (or demo’s, meetings, engagements, etc.). Once everyone knows what is expected, show the results to everyone to bring a level of public accountability to the show. You may share these each day or half day to give real time feedback and so staffers can make correction mid-stream if needed. 2. GET IN TOUCH WITH VISITORS AFTER THE EVENT – FOLLOW UP: Earlier, we noted that lead generation, among the various other actions you take at the event, will have the biggest impact on your success. But collecting leads is only half of the equation. You must follow up on them when you return home. The reality is that only about 40% of sales people follow up on leads after the show. That number is painfully low, so make sure you’re giving all of your hard work and investment what it’s worth by following up on all of those leads that you spoke with. Many exhibitors, even those who have years of in-the-trenches experience, neglect to follow up with the people they meet at the show. Instead, they shelf their hard-won leads with the intention of addressing them when they have more time. The problem is, targeted leads age quickly. Each day that passes allows them to further cool. After a few weeks, your chances of converting those leads to customers becomes slim. Did you know that only 47% of sales people follow up on their leads? Follow up needs to happen within 1-3 days after the show. Don’t let your hard work fall out underneath of your and your ROI plummet. 3. SELECT A HIGH-TRAFFIC AREA IN THE HALL: The more foot traffic you have near your booth, the more opportunities you’ll have to meet and engage attendees. Reserving space in a high-traffic area may be as simple as asking (contact the event organizer). Other times, you’ll be expected to pay a premium. So what is a high-traffic area in a convention hall? Try getting a spot on the corner where there is always a crossroads of attendees passing. You will be able to engage from all directions and your booth will be more noticeable not packed between two others. It’s important to remember that having the best spot in the convention hall won’t help you if your exhibit is poorly designed. That’s one of many reasons to work with an experienced designer when creating your trade show exhibit. 4. WOW EXHIBIT DESIGN: We all occasionally say “Wow” when we see something that is visually stunning and it is no different for you attendees at a trade show. Use the exhibit to help create a “Wow” moment for the attendee. Exhibit designers live to help you stand out from everyone else on the show floor. 5. CREATE AN EXPERIENCE: A simple way to plant a long lasting memory in the mind of the attendee is to create an experience for attendees. Some of the ways to accomplish this would be to make sure to engage as many senses as possible… such as touch, sight, sound, and even smell. You can you technology to do this or you can use a demo or staffers and all can work when done correctly. One case study example is we created a “Jeopardy” game for their industry and we had over 50% of the show attendees participate in the game. 6. REDUCE SPENDING: This sounds obvious and it is. Find ways to reduce you spending at events in such a way that it is transparent to attendees. Some examples might be to consider cutting your shipping and drayage. These are both tied to how much your exhibit weighs and if you cut it by 50% then you bill goes down accordingly. Also consider little changes like sharing rooms for staffers or cutting down on the amount of “giveaways” per show. 7. MAKE LEAD GENERATION A TOP PRIORITY: Of all the actions you take during the event, collecting leads will have the biggest impact on your success. The purpose of your trade show exhibit is to give your company exposure to your target market. The greater your exposure, the more people you’ll attract to your booth. But just because a large number of attendees visit your booth doesn’t mean your efforts to draw them in will generate results. Make sure you generating the right audience for your company. That should be discussed before you even get to the show and while you’re designing your booth. You and your employees have to engage attendees and determine whether they need your products and services. You must generate leads. Doing so should be your top priority. 8. 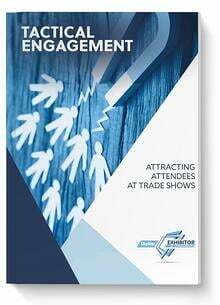 PROMOTE YOUR TRADE SHOW EXHIBIT BEFORE THE EVENT: Trade shows are not only for meeting new prospects. They also give you an opportunity to connect, in person, with your current customers. When they visit your booth, the face-to-face interaction will help to strengthen your relationships with them. Let them know how much you appreciate their business and ask them how things are going. Maybe they’ll have a project coming up that they’d love to use you for since you’ve been so accessible and open with them. So how do you get your customers to attend the show and visit your booth? You have two options. First, you can do nothing and simply hope they’ll stop by. Second, you can be proactive and promote your exhibit weeks, even months, before the big day arrives. Email your mailing list. Get the word out via social media. Promote it through direct mail. Share photos and captions through the stages of your event planning and share photos of your booth. Get attendees excited about an in-booth promotion you’ll be offering. A great way to get people to stop by is to offer a giveaway that can only be redeemed by stopping at the booth. That will be a great way to engage in conversation and see how you can solve their needs. Pre-show marketing can have a dramatic effect on the number of people who visit you during the event. That in turn will boost your trade show ROI. 9. OFFER GIVEAWAYS THAT WON’T BE DISCARDED: Promotional giveaways will attract attendees to your exhibit. Everyone likes free gifts, but make sure they aren’t too cheap that they’ll give your company or brand a bad memory. The key is offering giveaways that attendees are likely to keep and use over and over. For example, coffee mugs with your company’s brand subtly displayed on the bottom are a great idea. So, too, are keychain flashlights, reusable water bottles, and travel-sized computer accessories, such as a mouse or pair of ear buds. Bad ideas include boomerangs, branded pens, and stress balls. They’re overplayed and offer little practical value. You can find the right giveaway for you by asking a few simple questions, though. If you’re unsure what you should use, this article will help. 10. ADEQUATE TRAINING FOR STAFFERS: Your employees have a single overriding purpose while they work your booth: They are to engage attendees, qualify them as leads, and collect their contact information. But in order to do that effectively, they need training. 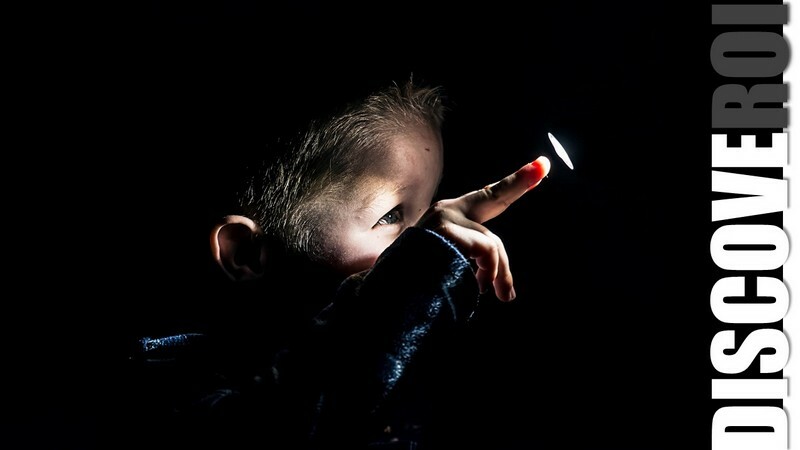 The traits that will help them generate targeted leads aren’t always naturally shown so adequate training on interactions and what questions to ask is essential. Show your booth staffers how to direct conversations toward learning more about visitors’ business needs. Also, show them how to present your company’s products and services as attractive solutions. Engaging visitors and qualifying them according to their respective budgets, needs, and buying urgency requires asking good questions and listening attentively to the responses. 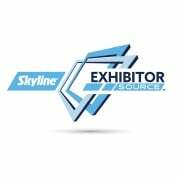 Given the time and resources you’re devoting to exhibiting, you want to do everything possible to maximize the ROI of your trade show exhibit. When the time comes to prepare for your next event, start planning early and get your timeline in order. In the meantime, visit our website to explore a full range of trade show solutions, tips, advice, and educational materials. We want you to succeed..